How to Control Aquarium Algae Growth? Algae growth is a very common problem for a freshwater fish tank to have. It is not such a bad thing if you can keep it under control. When it starts to cling on tank walls and decorations, then you have to watch out for it! You can control algae growth if you keep it in check from the start. By doing so, you will keep it from becoming a major issue. Let’s have a look at three things you should do to control unnecessary algae growth. Choose a setting for your fish tank in your house where it doesn’t come directly under sunlight. Exposure to sunlight promotes algae growth. Even if it is exposed to strong artificial lighting it would grow excess algae. The artificial lighting should be relatively dim compared with the rest of the house. It should stay open for a maximum of 8 hours in a day. If you can’t remember the number of hours you ought to keep the lights on, set yourself a timer to make things easier. If the water in the fish tank gets stale, it becomes full of more nutrients. Algae growth is stimulated by consumption of excess nutrients. You have to change at least 15% of the water each week to make sure that the nutrients in the water are under control. When algae has less to feed on, its growth altogether stops. The amount of food you throw into the fish tank increases the levels of phosphate in it and as a result there is excess algae growth. Feed your fish in small amounts. Watch the fish as they eat to make sure you haven’t thrown in extra food. Fish eat very fast.Fish should fully consume the food within 5 minutes. If they are not finishing, then you are overfeeding the tank. Maintenance, Maintenance, Maintenance to Avoid Aquarium Algae! Algae growth isn’t all bad for your fish tank if you keep it under control. One of the major benefits of algae is that it provides oxygen in your small tank and it absorbs extra nutrients from the tank. This is helpful for your fish but if it outgrows more than it is needed then it becomes dangerous for the life inside the tank. You should use all of the above techniques to makes sure it stays in your tank but doesn’t cover up other plants, tank walls and any fish inside it. Only in this way is it helpful for your aquarium. 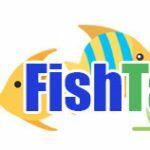 For more informative and interesting tips on keeping your fish tank healthy for your fish visit our website FishTanksandMore.Com regularly for more information and helpful tips. In fact, if you have any more ideas to keep algae growth in check, let us know in the comments below! This entry was posted in Aquarium Maintenance, Tips and Information. Bookmark the permalink.